In 3rd grade, students learn basic multiplication and division facts. Completing word problems can show your child how these operations might be applied in the real world. Read on for tips on how to write your own word problems to help your child build - and appreciate - his newfound multiplication and division skills. 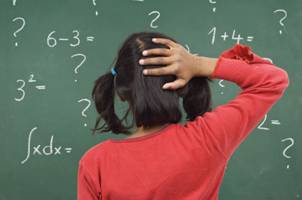 How Should I Write 3rd Grade Math Word Problems? When formulating word problems for your 3rd grader to work though at home, you should consider how many steps you want each problem to have. If your child is just learning his or her multiplication and division facts, you might want to stick to problems with just one operation. However, if he or she needs a challenge, you might develop problems that use addition and subtraction, as well as multiplication and division. Also, be sure to use key words that can help your child determine which operations are needed. For example, 'times' or 'product of' generally signals multiplication, while 'per' or 'out of' can indicate division. You also might pick topics for your problems that incorporate your child's talents or interests. For instance, if your son or daughter is a baseball player, you might formulate a problem that involves hits or runs scored to increase his or her interest in completing the work. 1. Tessa bought four apples for $1 each. How much money did she spend in all? For this problem, your child should multiply $1 x 4, which equals $4. 2. Janice ate two slices of pizza with two pieces of pepperoni on each. Jeff ate three slices of pizza with three pieces of pepperoni on each. How many pieces of pepperoni were there altogether? This might be a good option if your child is ready for problems that include addition and multiplication. First, he or she should use multiplication to determine how many pieces of pepperoni each person ate, so 2 x 2 = 4 and 3 x 3 = 9. Then, your child should add these two sums: 4 + 9. There were 13 pieces in all. 1. There are ten scoops of ice cream left in the container and five people who want ice cream. How many scoops can each person have? Because your child likely knows that 2 x 5 = 10 from his or her multiplication facts, this division problem should be relatively easy: 10 ÷ 5 = 2, so each person would receive two scoops. 2. Becky baked 24 cookies and evenly distributed them among herself and five of her friends. How many cookies did each person get? Your child should solve the problem 24 ÷ 6 (Becky plus five of her friends). Each person received four cookies.